Pivot Software, a specialist remuneration software provider servicing the Australian and New Zealand markets for over 16 years, is now a part of ELMO Software. 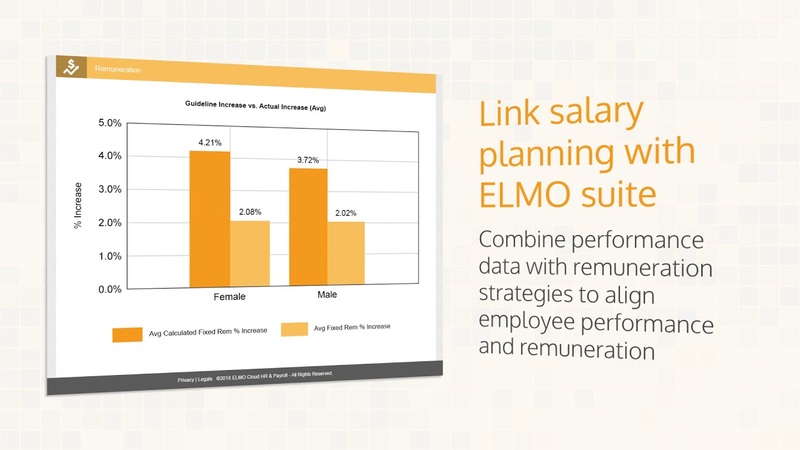 Designed, sold and supported by local HR experts, ELMO Remuneration is a best-in-class solution to help you manage the critical business process of pay reviews, which impacts employee engagement and organisational performance. Pivot Remuneration is designed for organisations with straight-forward or complex remuneration requirements. Gain visibility of the entire process and all those involved. Identify any bottlenecks and clarity around remuneration decisions against budgets. Automate processes, including the production of final letters; design workflows that drive processes effectively, aligning managers with correct procedures. Pivot Remuneration fits seamlessly into any corporate IT infrastructure and can integrate with common HRIS/payroll systems. Find out more details about Pivot Remuneration.